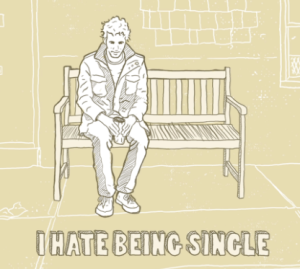 I Hate Being Single - You Don't Have To Be! - I'm your PA : The virtual assistant company that likes to make you smile. Funny isn’t it, many people become self employed or start their own businesses because they hate working for someone, yet when they are their own boss, they hate being single! Stuart was a very successful businessman heading up a multi million pound corporate organisation. The long hours, stress of the role etc. all took their toll on his health, until one day Stuart decided to change his life completely and retrained as a gas engineer. The one thing that Stuart did not want to do was to take on staff, he had had enough staff issues to last him a lifetime! However, as his business became more and more successful, so did the headaches! We started working with Stuart ten years ago, at first it was just answering his calls and putting the appointments on to his Google calendar. Over the years we have expanded that role to the point where he now has us proactively call his clients to book them in for annual services, this has been made possible by setting him up with a customer management system. The system we set up for Stuart means he now has a business he can sell at some point when he has had enough. If Stuart has an issue with a non-payer, he sends it to us to deal with – well we are not emotionally involved. Whatever the “problem” in Stuarts business, he comes back to us, we sort it. Stuart still has the benefit of being his own boss, he doesn’t employ any staff, so he can walk away whenever he wants, but he is no longer alone. As far as Stuart is concerned he has a team of “girls” all of whom look out for him, and he feels loved!